Hi there! 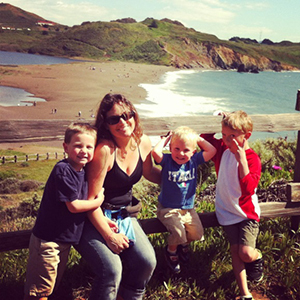 I am super excited to share with you that I am one of California Family Fitness’s family bloggers. Over the next few months, you will be reading a blog post from a member’s point of view. I am excited to share with you my experiences, any tips and tricks I have learned, as well as awesome opportunities CalFit has for its members! To get better acquainted, let me introduce myself. My name is Rachel and I blog over at www.runningrachel.com . Quite simply, I am a married, never-at-home, stay-at-home, homeschooling mom to three wild monkeys (I mean boys). 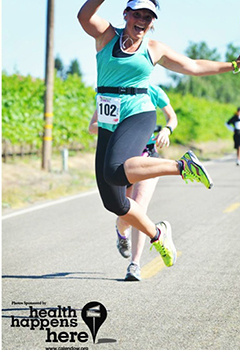 I am an avid runner who is running through life one day at a time. I am a member of California Family Fitness and frequent the Elk Grove facility. We are an active family. We are always seeking our next big adventure, whether it is hiking a new trail, biking, running, swimming, or just playing at one of the amazing parks in our area. Being active together as a family is something we enjoy doing together. One of the many things we love about our membership with California Family Fitness is the amazing child care. Sometimes Mommy needs a break from the boys. Sometimes the boys need a break from Mommy. The child care is a perfect blend of fun, structure, and activity. The staff knows my children by name, and my boys even have their favorites! We have a lot of energy in our family… and we are thankful to have a membership to this amazing family gym. 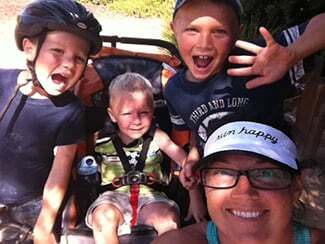 Check back next month as I share about my experience as a Mommy member, and perhaps even share how I fit in fitness while homeschooling this crazy crew! Thanks for reading! I look forward to getting to know YOU as I share my journey with Cal Fit over the course of the next few months. What Cal Fit location do you frequent the most? What is your fitness activity of choice?